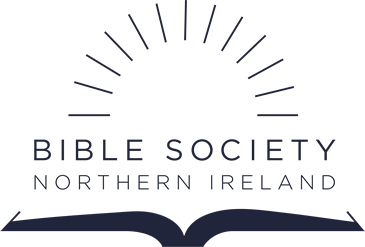 Over 1000 Bibles in Northern Ireland have now been twinned! It’s been great to see how people have taken up the challenge of twinning their Bible. 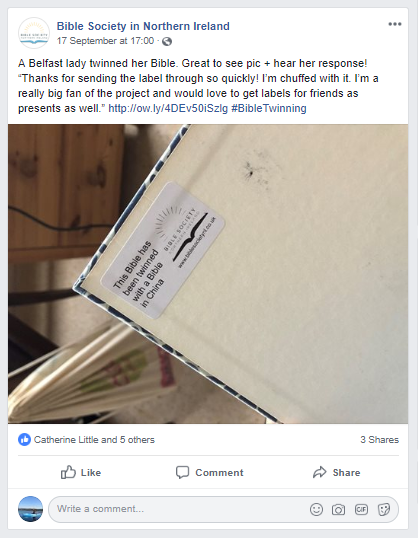 It’s a really simple idea – you buy a Bible as a gift for someone else and then you get a label to stick in your Bible to say it has been twinned. And it costs as little as £5 to do! Find out more about how you can twin your Bible. Some people have twinned the Bible that they’ve cherished for years and some have bought themselves a new Bible and twinned it. We’ve had grandparents twinning their grandchildren’s Bibles for them as birthday presents. We’ve even had whole churches work together to twin their pew Bibles. How many Bibles have been twinned so far? Twin your Bible today and give the gift of God’s Word to someone who has never had it before.